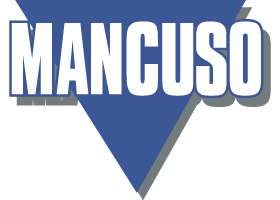 Our clients throughout Southern Ontario, Toronto and surrounding areas have depended on Mancuso Paving Limited since 1966 for successful projects in paving, landscaping and excavating. Whether you are looking to repair existing asphalt, in need of landscaping or for parking lot paving in Toronto and the surrounding areas, our dedicated team of professionals are ready for any job. Improve your residential, commercial or industrial property with a paving contractor who gives you warrantied products and workmanship on time and on budget. We have made a name locally for quality work at sensible prices. Our team of experts can also suggest designs based on the size of your property and budget. We are always willing to advice on the best practice for any new project. This then allows you to experience years of happiness in your beautiful and unique extra living space. If you are struggling to find a large parking area for your vehicles, we have a solution for it. Our experts can help in paving parking lots in Toronto. So for first-class paving services in Toronto,drop by today!